A mysterious metallic vessel of unknown origin has crash-landed on earth. Departed from an unknown location in outer space, it has seen untold wonders and unimaginable danger. It has since lain at the bottom of the ocean for many long years. But now, the mysteries of its voyage are about to be unlocked and its secret mission revealed. 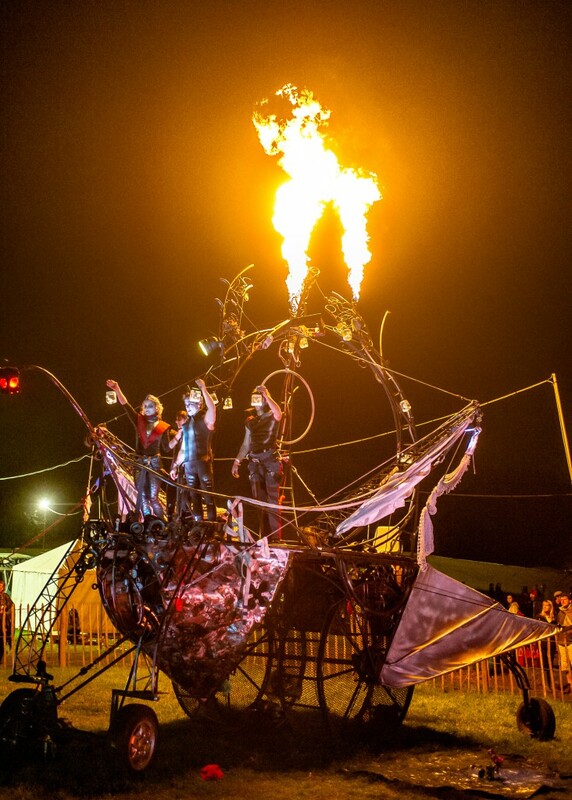 Magical circus and theatre performed on board a mechanical, space-faring creation.